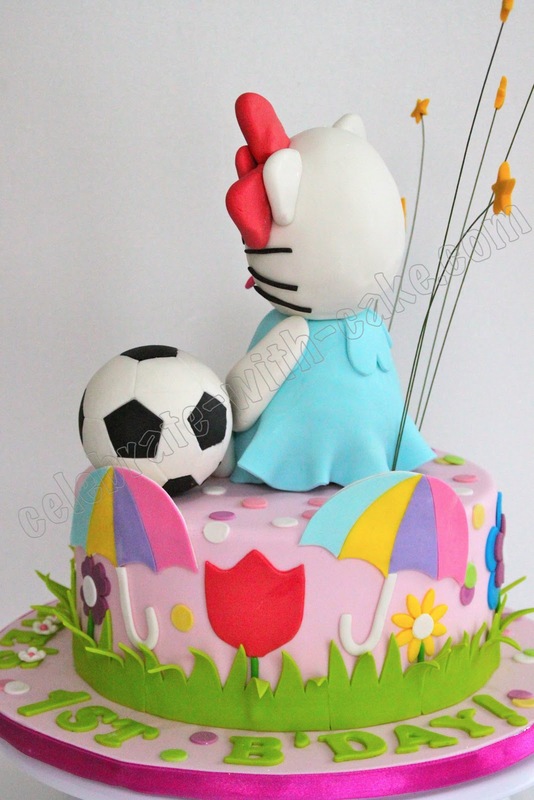 This was done for the little girl of my ex teacher's colleague. 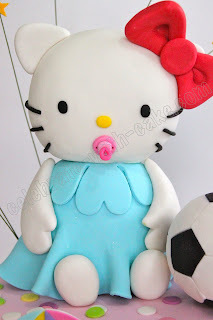 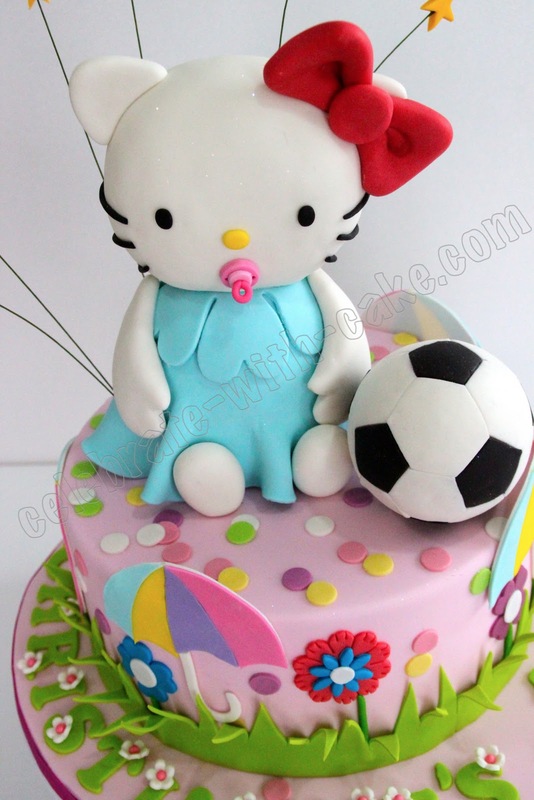 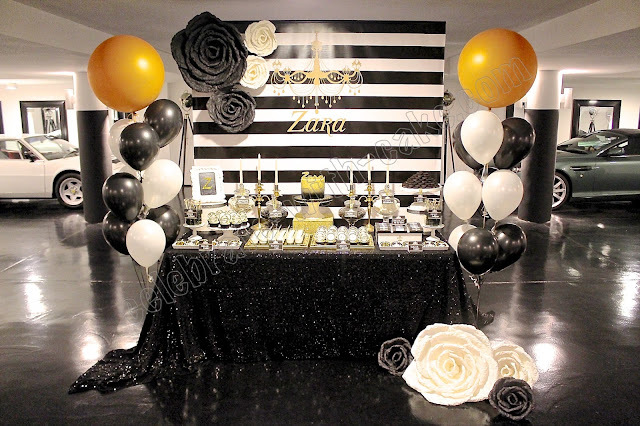 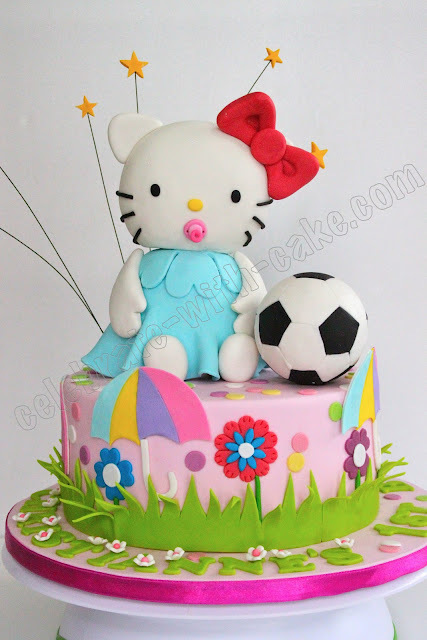 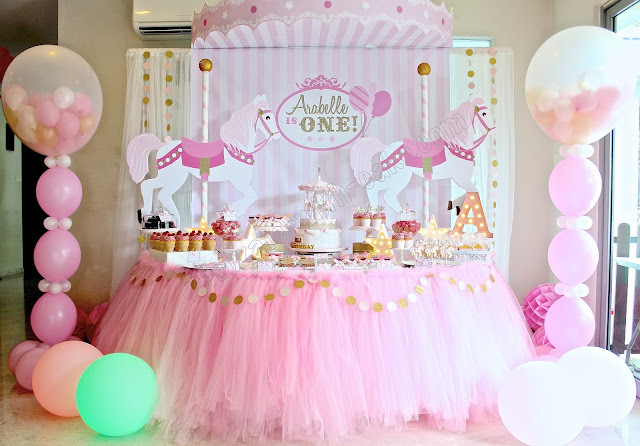 She was looking for a Hello Kitty themed cake with slight twist; a pacifier in her mouth and a soccer ball beside her! 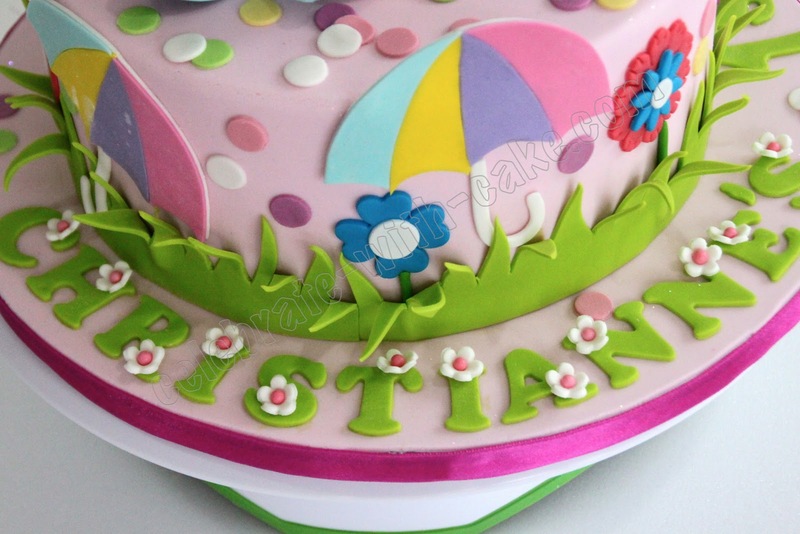 M also requested that the sides of the cake be adorned with colorful brollies and we threw in some flowers on the sides to liven things up a bit as well.